Our customer service doesn’t end the moment you click “buy now”. Our after-sales team will be more than happy to offer any support and assist you in any way you may need. 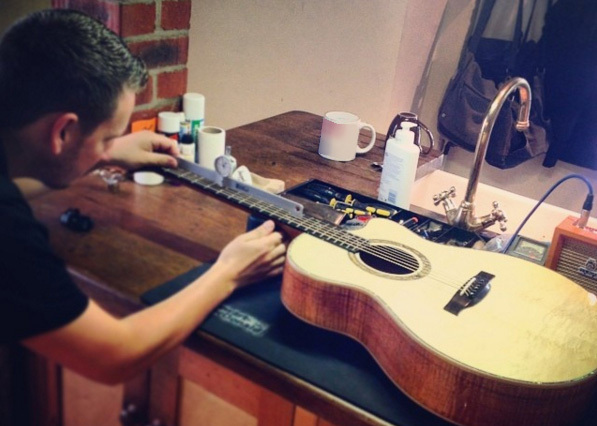 Particular setup requirements for your new guitar – just let us know prior to dispatch and one of our in-house techs will be happy to accommodate. All our guitars are fully setup to standard manufacturer guidelines by us anyway but we appreciate every player has different needs! Any advice or help with your new toy. Anything from humidity storage advice, taking your pride and joy on a plane, or what the best strings would be to use, we’ll be happy to help. Further information about your guitar – specification/features, year produced, current pre-owned pricing info, or part exchanging/upgrading your gear. Pairing information – which amp or effects unit is going to bring out the best in your new axe. Don’t forget we offer a 14 day hassle free returns policy for all online orders, so if anything isn’t as expected just let us know within 14 days and we can arrange for a courier to come and collect it from you. We also offer a free full 12 month warranty with all new products (some items will come with an extended manufacturer warranty) against manufacturer defects, which we will happy to arrange a collection for to save you the hassle. Don’t hesitate to get in touch with any questions you may have and one of our team will get back to you ASAP.